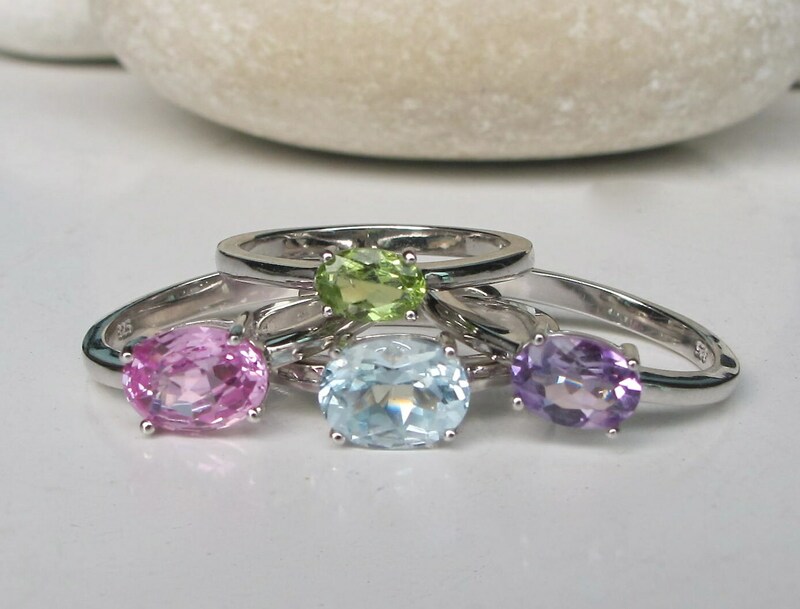 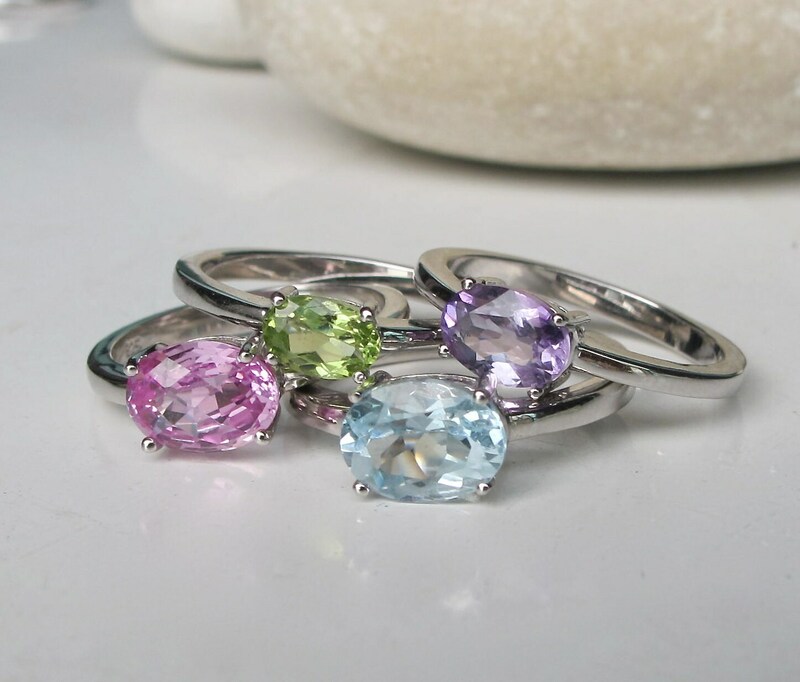 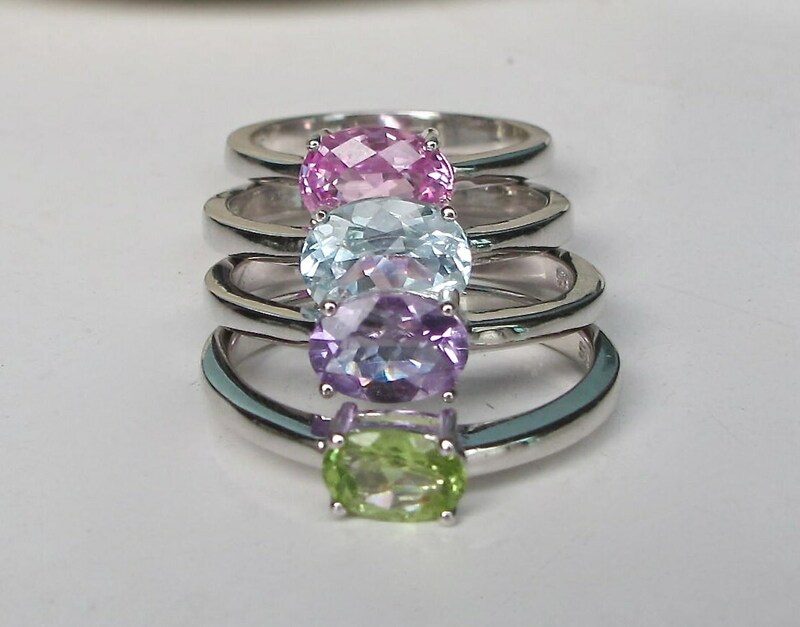 A ring set featuring 4 colorful collection of oval shape stackable Birthstone sterling silver rings for the months of February, October, August and December. 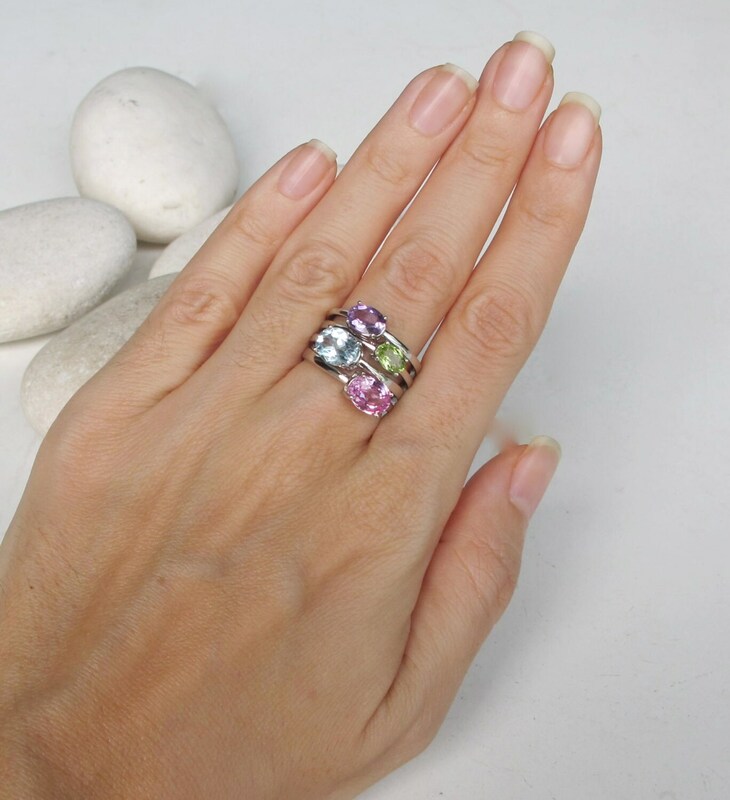 It is also a stunning statement ring featuring Pink Topaz, Blue Topaz, Purple Amethyst and Peridot, which make a lovely set of colors! 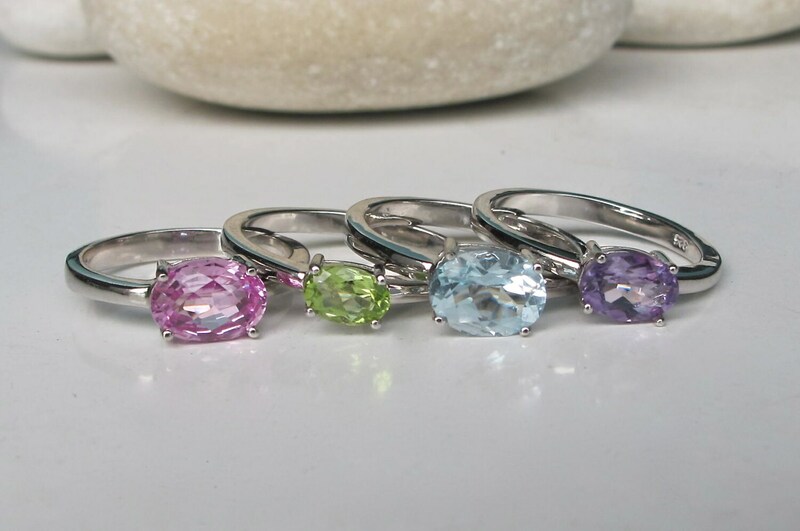 Wrapped in Belesas Branded Box ready for gift giving.